Dr. Patrick J. Mannarino has served as Superintendent of North Hills School District since 2012 after two years as an assistant superintendent. Prior to joining the central administrative staff, he served as principal of North Hills Senior High School for four years. He joined the North Hills School District staff as an assistant principal in 2002 and was promoted to associate principal in 2005. 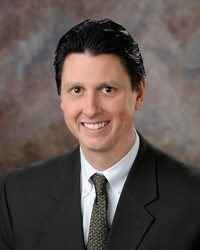 During his more than 15 years at North Hills, Dr. Mannarino has been integral to the creation of the academic Academies at North Hills, which help guide high school students along a focused curricular track that closely aligns with their career goals and interests while exposing them to a group of peers with similar interests. He oversaw the expansion and success of the Advanced Placement, College in High School and Online Academy programs as well as the creation of a welding partnership program with the Community College of Allegheny County. These programs befit Dr. Mannarino’s daily goal to prepare North Hills students for their next educational opportunity outside of North Hills whether at the college-level as an undergrad, in the workplace in a technical or trade skills position or in our nation’s armed forces. In recent years, he launched the North Hills Middle School STEAM Center that allows students to collaborate across multiple subject areas to work on large-scale integrated projects that reinforce vital skills such as teamwork and communication. Additionally, he oversaw the implementation of Project Connect, North Hills’ iPad initiative that provided all sixth-, seventh- and eighth-grade students with a powerful, educational tool in their hands each day. He serves as the Superintendent of Record for A.W. Beattie Career Center and on the Forum for Western Pennsylvania School Superintendents. Dr. Mannarino also teaches as an adjunct professor for Waynesburg University and Westminster College. He is a member of the National Association for Supervision and Curriculum Development, Pennsylvania Association for Supervision and Curriculum Development, School Superintendents Association and Pennsylvania Association of School Administrators. He also serves as treasurer for the WPIAL Board of Directors and as the WPIAL representative on the PIAA Board of Directors. Before coming to North Hills, Dr. Mannarino served as the dean of students and assistant athletic administrator for the Blackhawk School District in Beaver Falls. Prior to his administrative experience, he taught high school social studies at Blackhawk. Dr. Mannarino earned his Doctor of Education in Administration & Policy Studies at the University of Pittsburgh. He completed his graduate and undergraduate studies at Slippery Rock University. He received his Principal Certificate from Youngstown State University and his Superintendent’s Letter of Eligibility from the University of Pittsburgh.